Elite Six Month Programme Advances Innovative Solutions for the Asset Management Industry. LONDON – October 10, 2018 – Essentia Analytics (Essentia), a leading provider of behavioral data analytics and consulting for professional investors, is pleased to announce that it has been selected by The Investment Association (IA) to participate in Velocity, the specialist FinTech accelerator programme for the UK asset management industry. Essentia is one of five leading FinTech firms chosen to join the “first cohort” of this elite six-month program, launched with a private event featuring John Glen MP, Economic Secretary to the Treasury, in London last night. 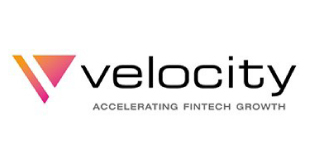 Velocity is an Investment Association initiative designed to accelerate fintech innovation and the adoption of technology within asset management. While more than 30 FinTech companies submitted applications for the launch programme, The IA noted that Essentia and the other participants were selected for “their innovative solutions which aim to enhance customer experience and increase business efficiency across all aspects of an asset manager’s operations.” The IA champions UK asset management, supporting British savers, investors and businesses, and has 250 members comprising £7.7 trillion of assets and employing around 100,000 people across the UK. Founded in 2013 by a former fund manager, Essentia is currently providing analysis across approximately $40 billion in aggregate assets under management (AUM) globally. Essentia Insight, the flagship product, is a hybrid service that combines technology with human consulting to help portfolio managers measurably improve investment decision-making. Essentia Analytics is a leading provider of behavioral data analytics and consulting for professional investors. Led by a team comprised of experts in investment management, technology and behavioral science, Essentia combines next-generation data analytics technology with human coaching to help active fund managers measurably improve investment decision-making. The firm has repeatedly been recognized as a leading FinTech provider by financial technology and investment industry publications and associations. Essentia is headquartered in London and has an office in New York City. Essentia is the host of Behavioral Alpha a unique 1-day event in New York focused on the application of behavioral science to investment management.